1. Veggie Burger and stolen friesWhen I say I never eat McDonald's, I mean it. 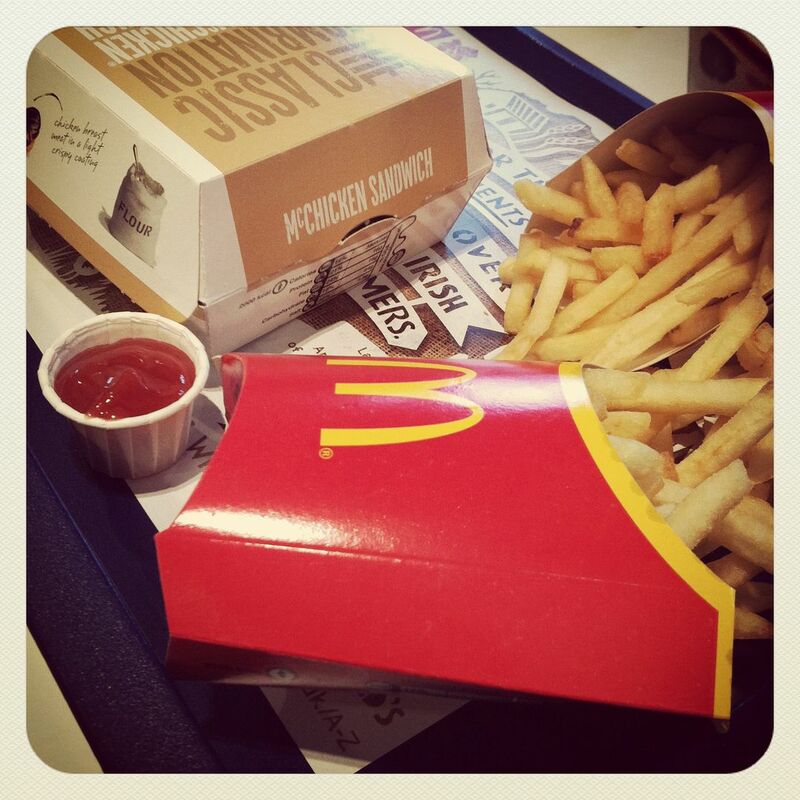 Until my year abroad I hadn't eaten McDonald's since 2004, but I had it twice last year purely out of necessity. We were rushing packing last week to get me back to uni and didn't have time for breakfast so we stopped at McDonald's, where I have to say I very much enjoyed my once-in-a-blue-moon veggie burger, salad and some of my Dad's fries.2. My first curly-hair attempt!Over Christmas I was having a total nightmare with my curling wand on my own hair, but after dancing on Monday I decided to seriously give it a go, and I did it! So proud.3. 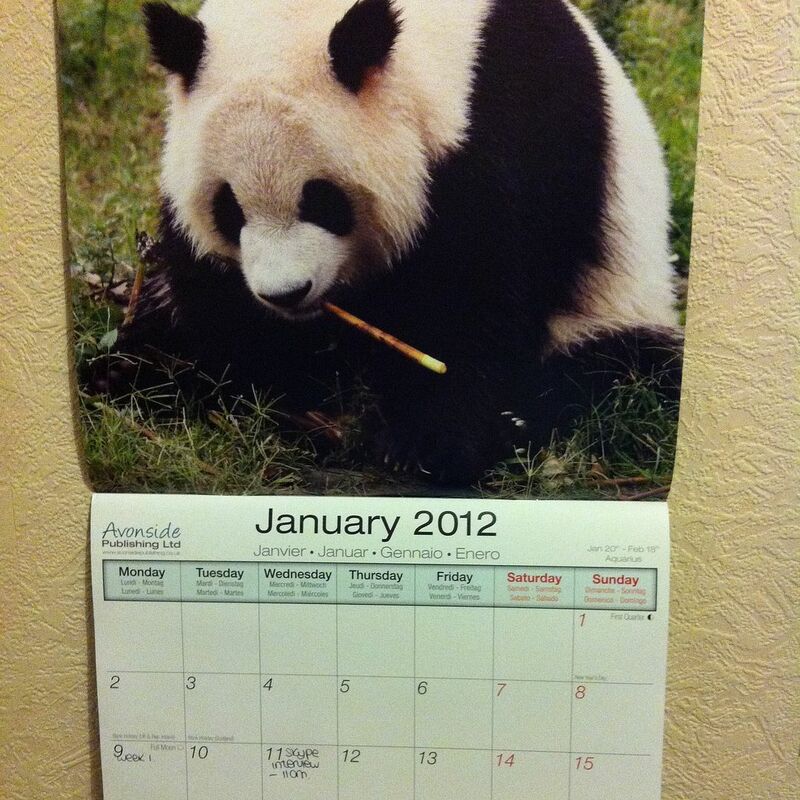 Panda CalendarAre you honestly surprised?!4. 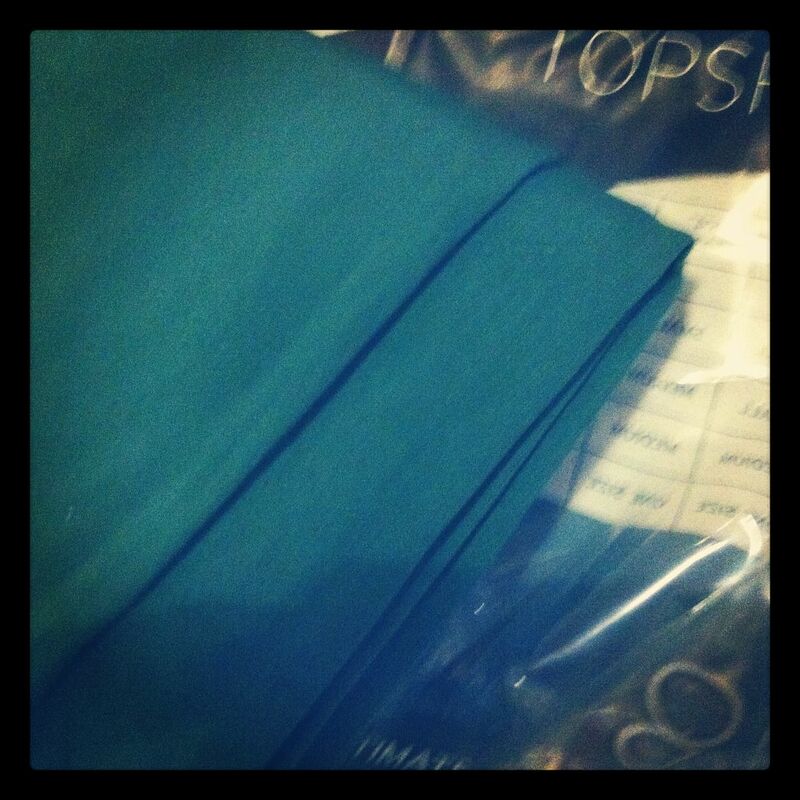 Green tightsThey look a bit blue in these pictures but these were what I bought on Tuesday to go better with my tartan dress. 5. 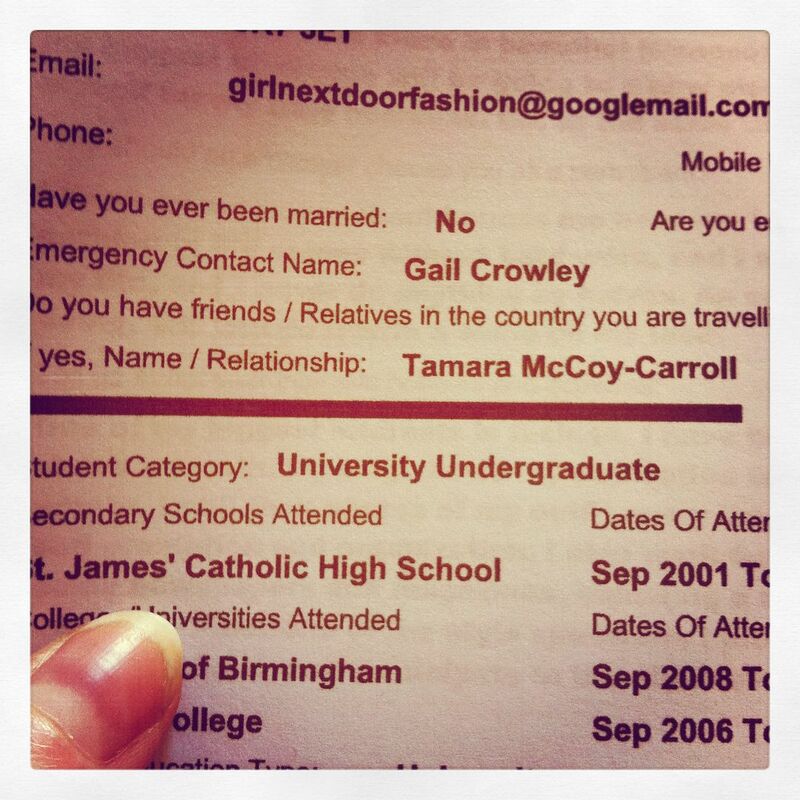 Work Experience USA Application Form!And my friend Tam as my 'friend or relative in the country you are going to'. 'Citin!6. 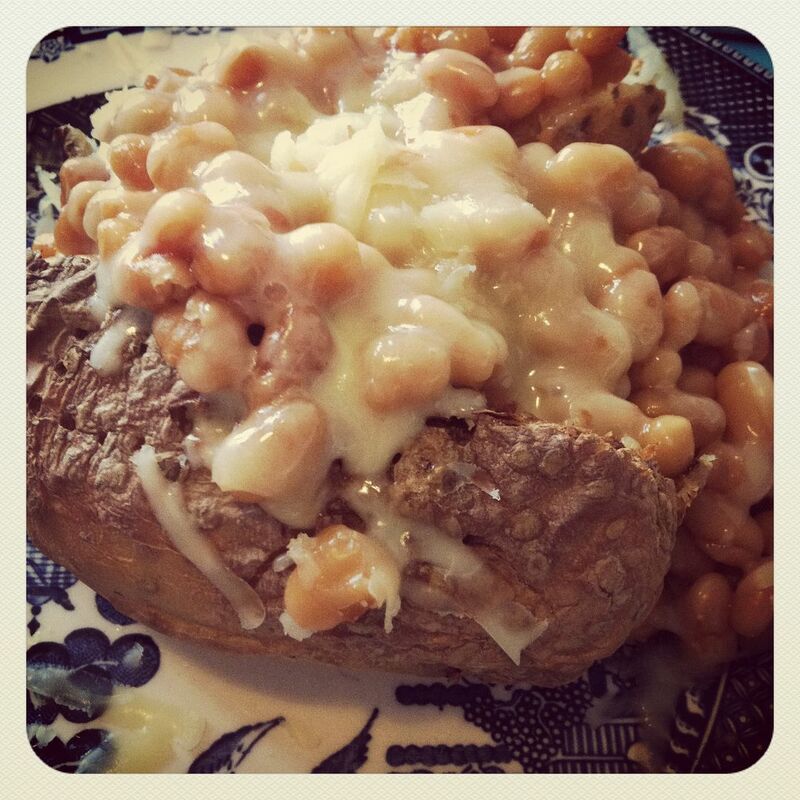 Standard student lunchBaked potato, cheese and beans. I've been really craving cheese this week! I bought mild rather than mature by accident so I'm trying to get through it!7. 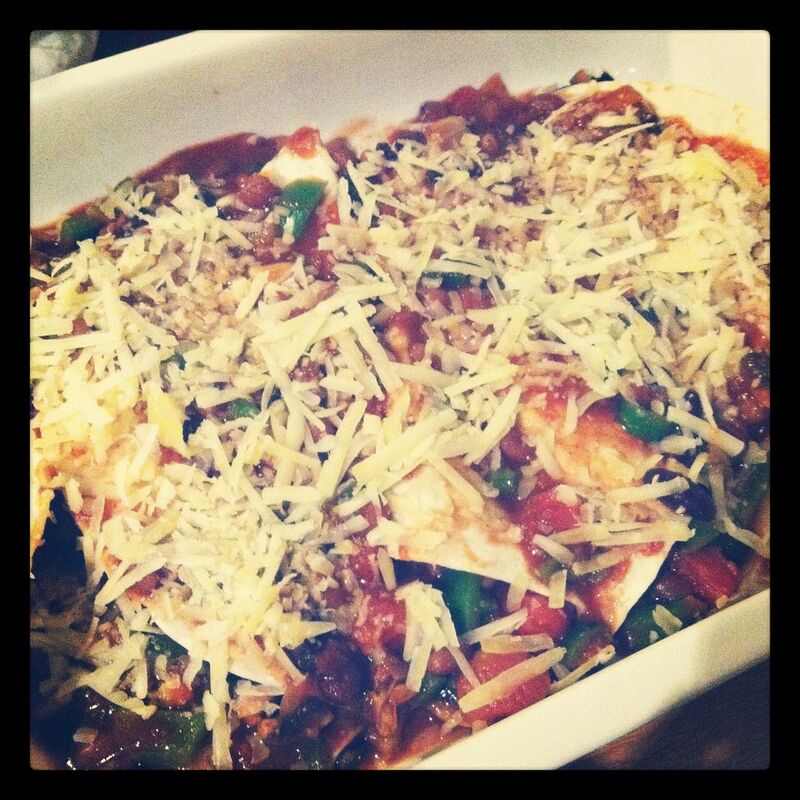 Homemade Veggie EnchiladasI could eat Mexican food every day of the week but I'd never made my own enchiladas. My housemate had made some ealier in the week so I thought I'd give them a go. I kinda used two recipes but they were mainly made up as I went along. They were super good!8. 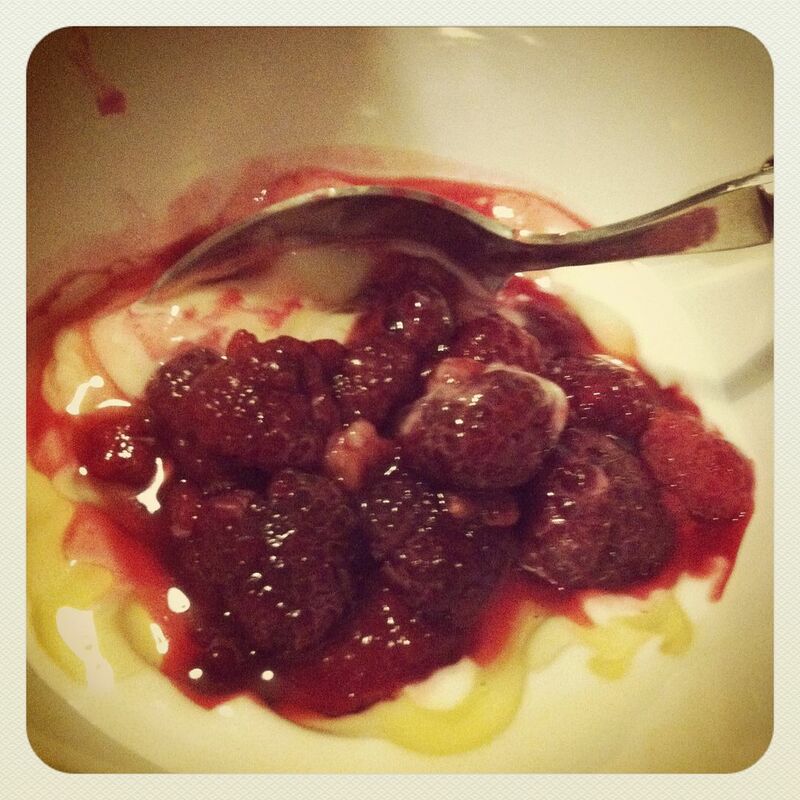 DessertFrozen raspberries and fat-free yoghurt and honey. Yum! 9. 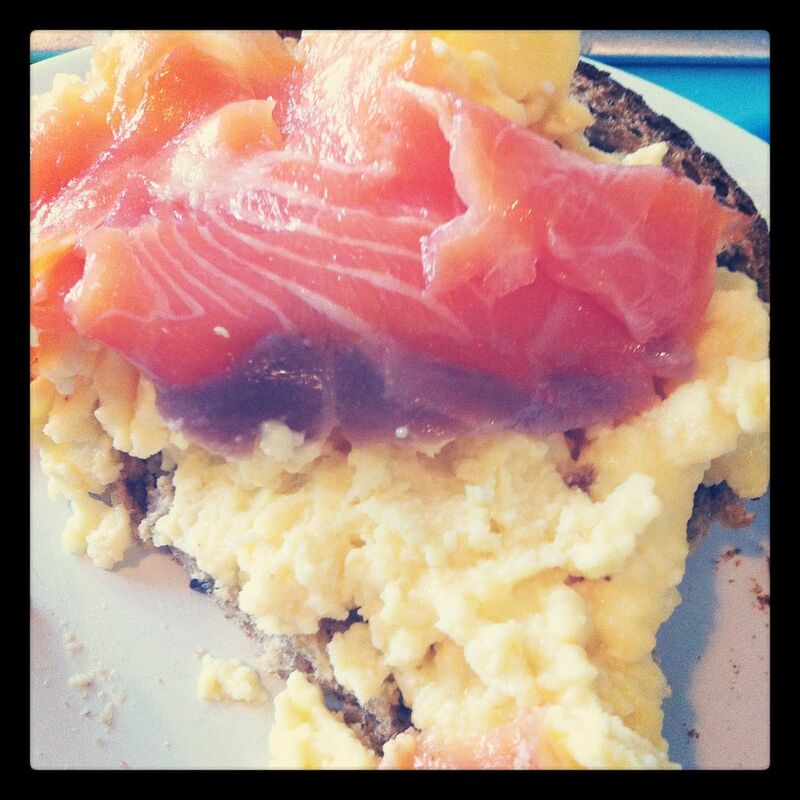 Smoked salmon and scrambled eggs (a la Beth)My housemate Beth came home from a night shift yesterday morning and made me scrambled eggs and smoked salmon for breakfast. Yessss.10. 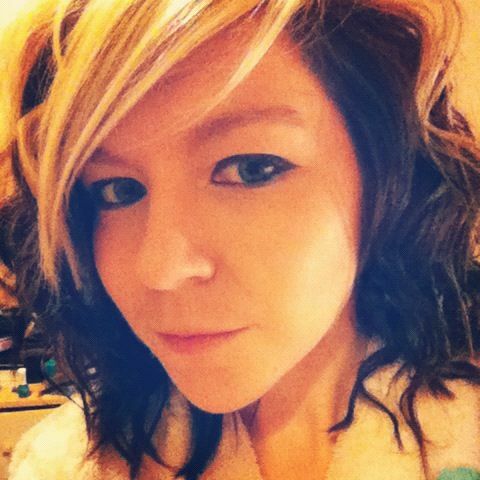 Second curly hair attempt!Cut down to only an hour and ten minutes...11. Manchester Orchestra topI adore this band and this shirt. I also love my new indigo jeans, which I guess you can't really see!12. 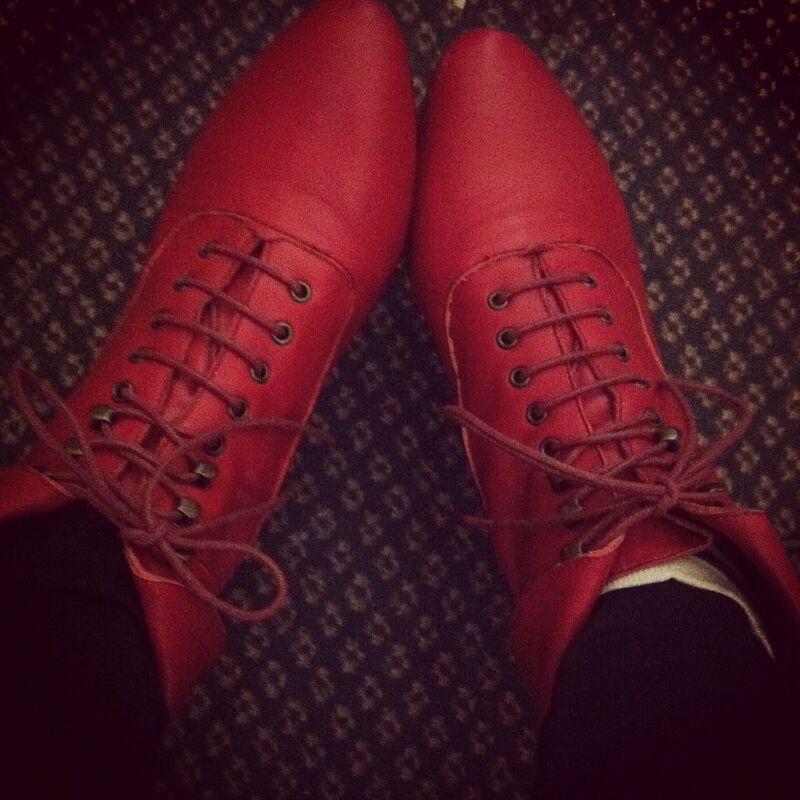 Red Boots!Because everyone needs at least one pair of obnoxiously bright boots. Ted Mosby would approve. 13. iPhone glovesWhat an amazing invention! 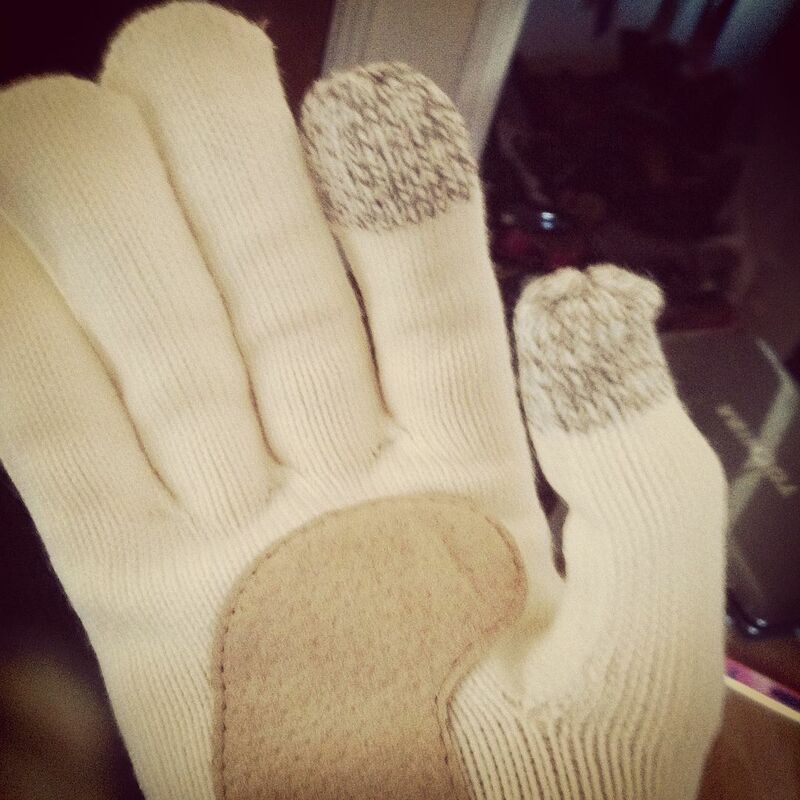 I took this photo while wearing the gloves! Amazing for texting in the cold!14. 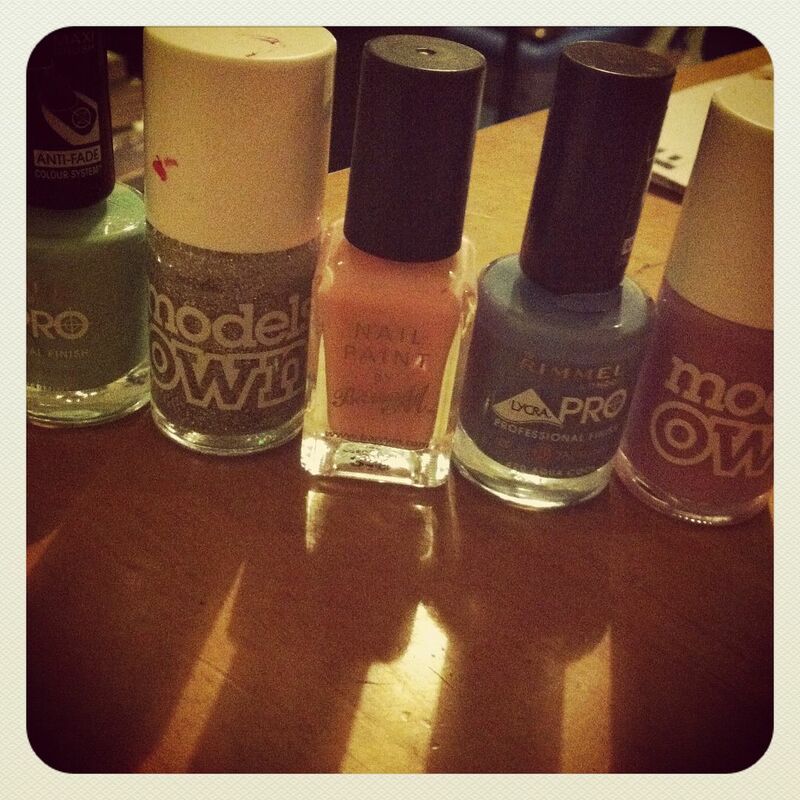 Pastel NailsSee later!15. Saturday night smokey eyeI followed the Smoke Out look from Urban Decay and adapted to the colours I have (I don't own the BOS IV but have five other UD palettes so I definitely had enough colours!)16. What I WoreA few of you asked for pictures from what I wore last night for cocktails with my housemate. Not a great picture, but I'm wearing these jeans, this top, these shoes and this jacket! Just imagine it in your head haha. I never go out in jeans but I love my new ones and really loved this outfit. The shoes really made it! 17. 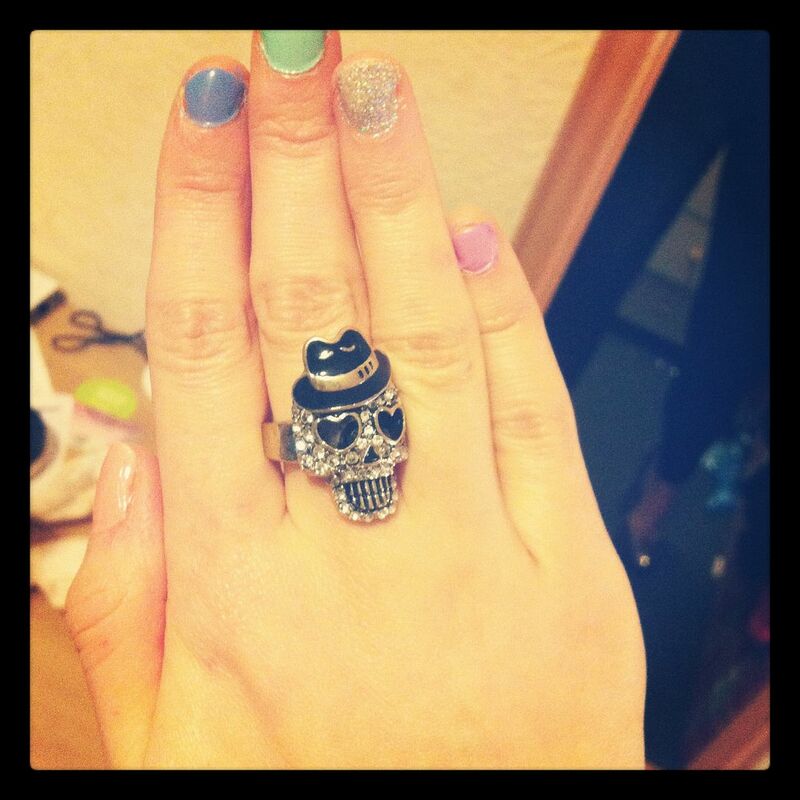 Pastel Nails and Betsey Johnson ringThese may be my favourite ever nails. Multi-coloured pastels and a glittery fourth nail. The glittery fourth nail comes as standard in our house!18. 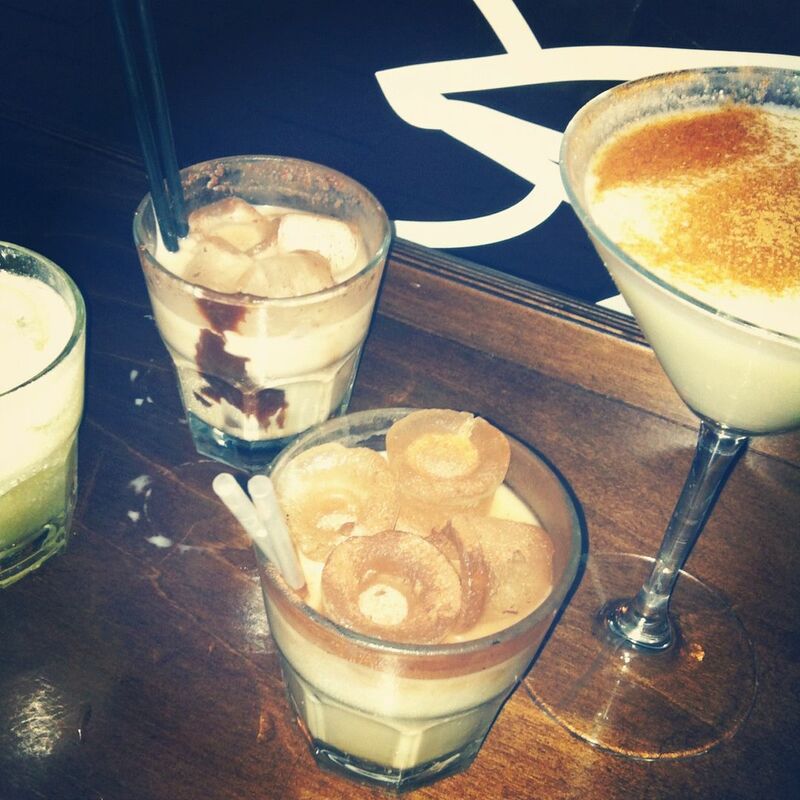 Cocktails!Okay, I admit, my first one was vile. Lemon Cheesecake is a great pudding, not a great cocktail. I should have known when I saw him putting cream cheese into it...19. Fabulous shoesIn the words of my housemate Briony (hers are the black Vivienne Westwood shoes, mine are the sparkly ones) "I can't believe people aren't just coming up to us and complimenting us on our amazing shoes." So true.20. Cocktail Number TwoIf there's one thing to know about me, it's that I barely drink. I hate being drunk and as as result of not drinking much, it doesn't take much for me to get drunk. Therefore, I just had two cocktails, interspersed with glasses of water! 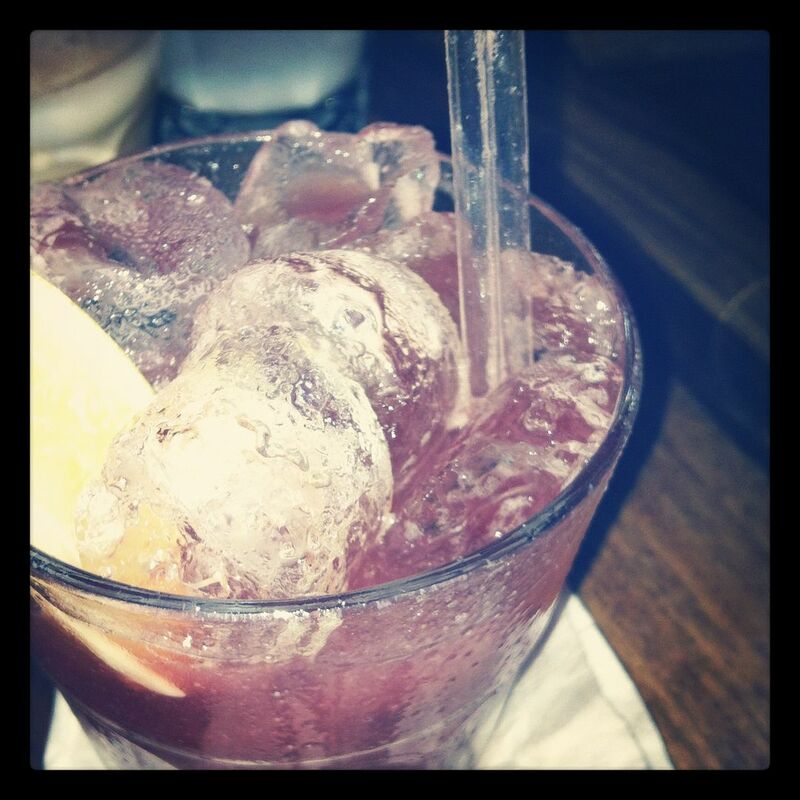 This was my second cocktail which was much nicer than the first one- which I only drank half of! I think this one was called Atomic Jam. It contained actual jam. 21. 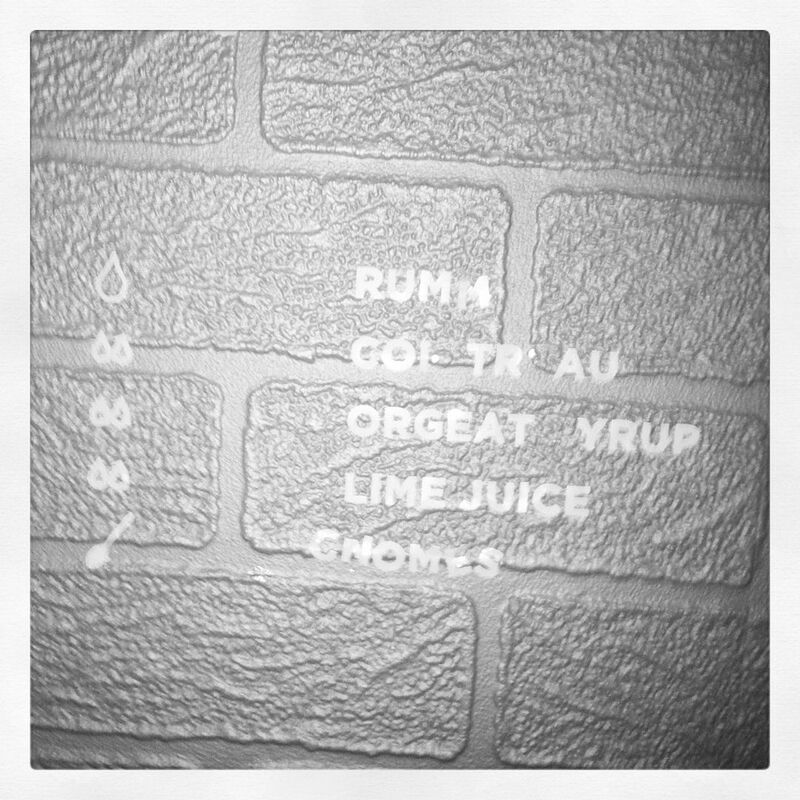 Mai Tai with GnomesYou can't read this too well, but Briony changed the words on the wall (which was ingredients for a Mai Tai), to make a drink containing gnomes.22. 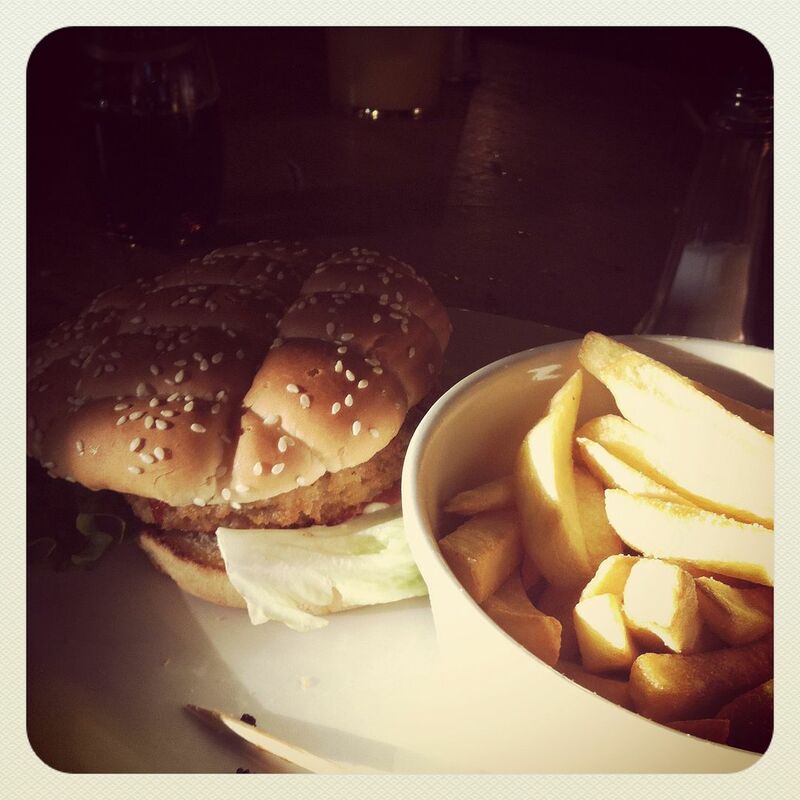 Lunch with StephVeggie burger in the pub had to happen. I swear I don't normally eat this many burgers!23. Veggie bake for dinnerTo counteract all the burgers, I made this veggie bake for dinner. 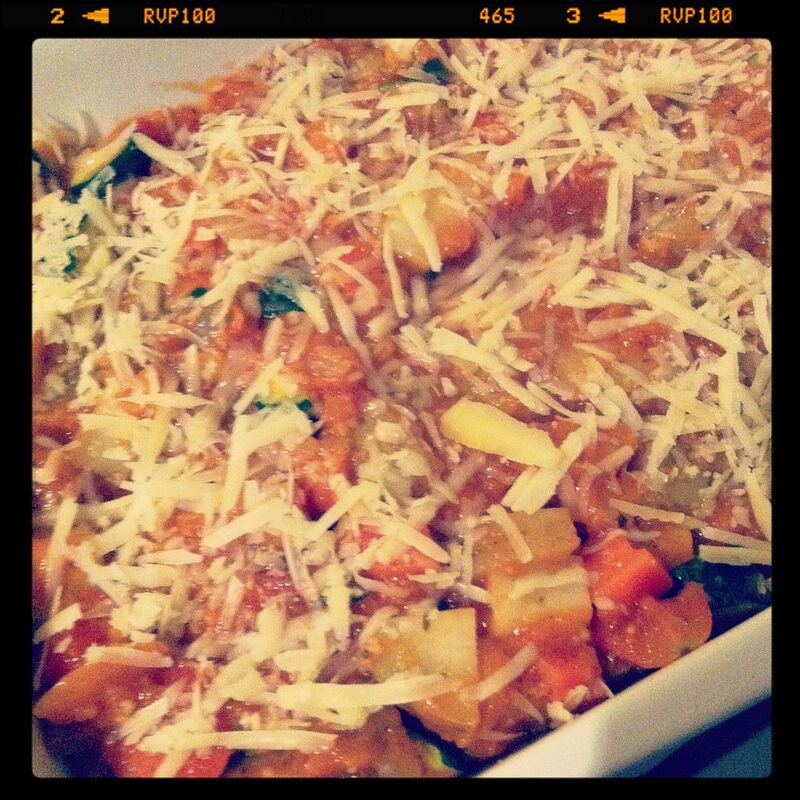 It was sweet potato, white potato, courgette, onion and carrot bake with homemade tomato sauce and a sprinkle of cheese. I had it with extra carrots and broccoli. It was yummy.24. 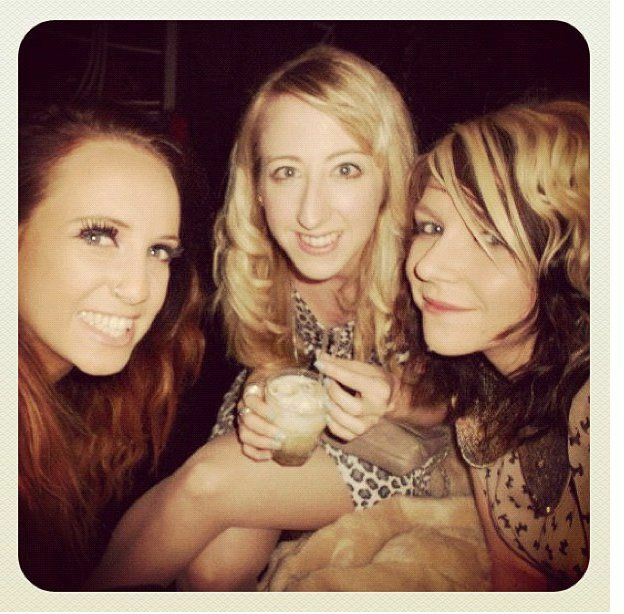 Favourite picture from last nightWith my housemates, Briony and Beth. Well, while last night was a much earlier night than when I work on a Saturday night (after work I normally get to bed around 4.30am!) I am absolutely shattered so I'm just gonna call my parents and go to bed.Have a lovely evening, guys! Ted Mosby would def approve. Wow youve had such a busy week! 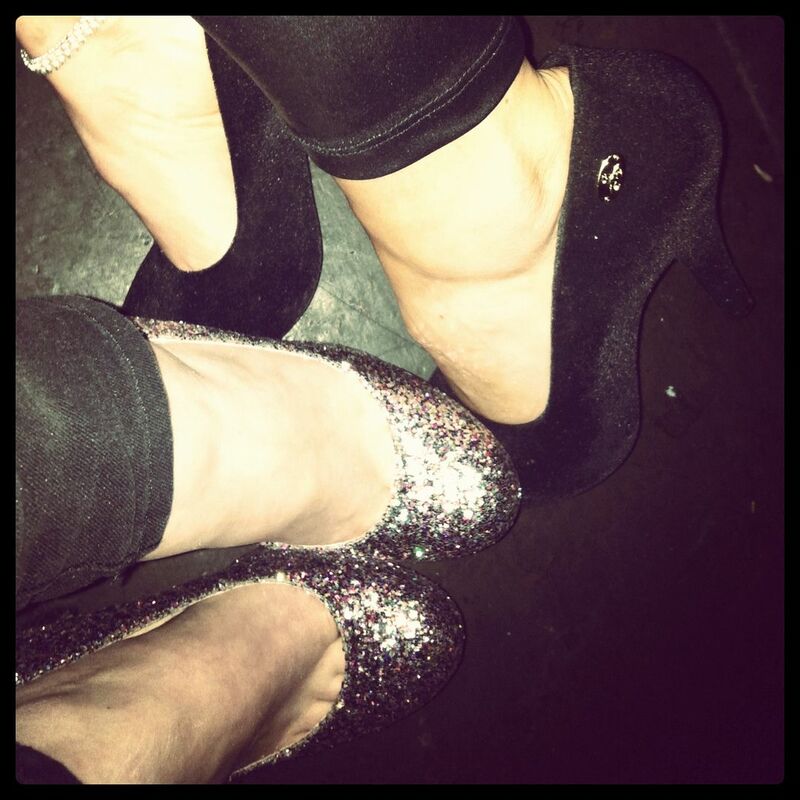 I am seriously in love with your sparkly shoes!!! my goodness, you have been one busy lady. I love your curly hair. It looks really cute on you. 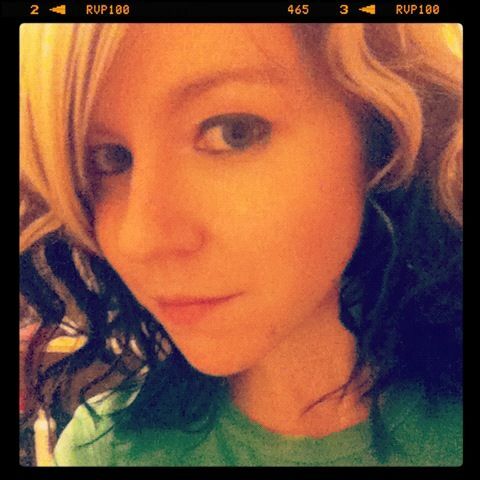 I used to wake up at 6am in high school to curl my hair. I did it almost everyday. I would curl it in tight, tight ringlets, put hairspray in, and then come it all out in waves. 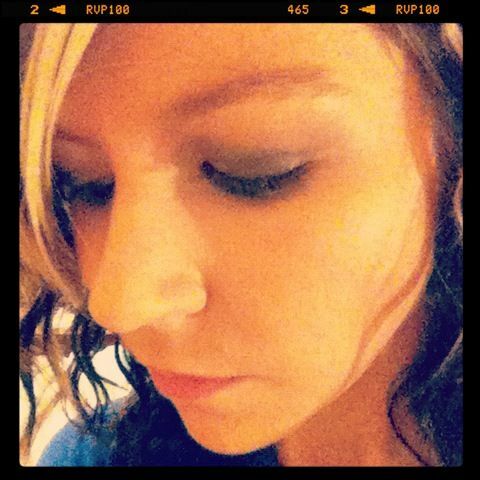 So, I basically curled my hair to uncurl it. Hahaha. It was ridiculous. 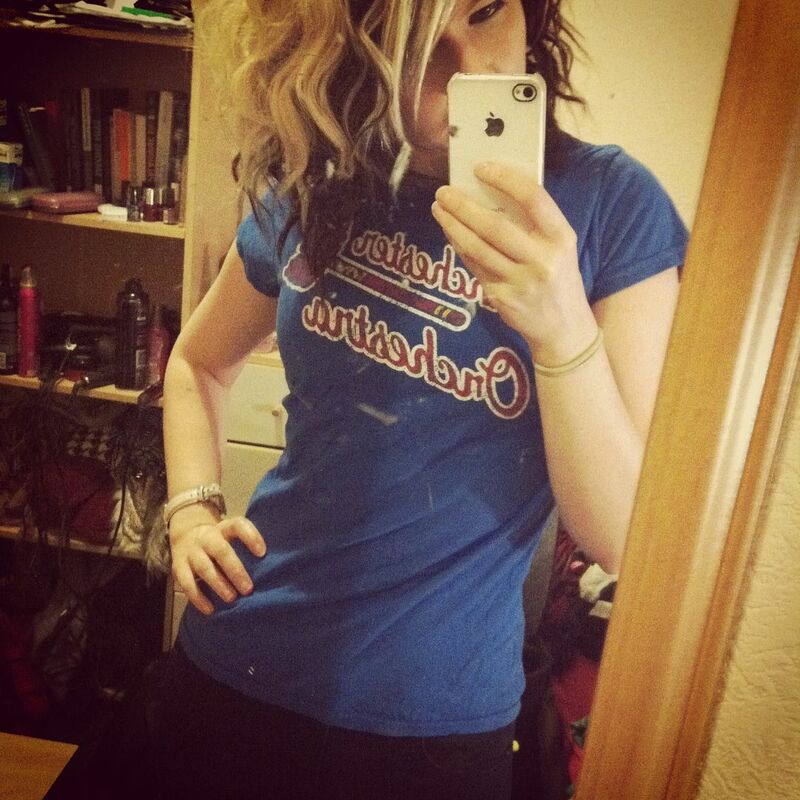 However, you look gorgeous in curls! And wow, you are busy. CONGRATS ON THE INTERVIEW GOING WELL! Will you be returning to Minnesota? Yep! I don't think I'll be going there to work but I have 30 days after my visa finishes to travel so I'll definitely be going back!